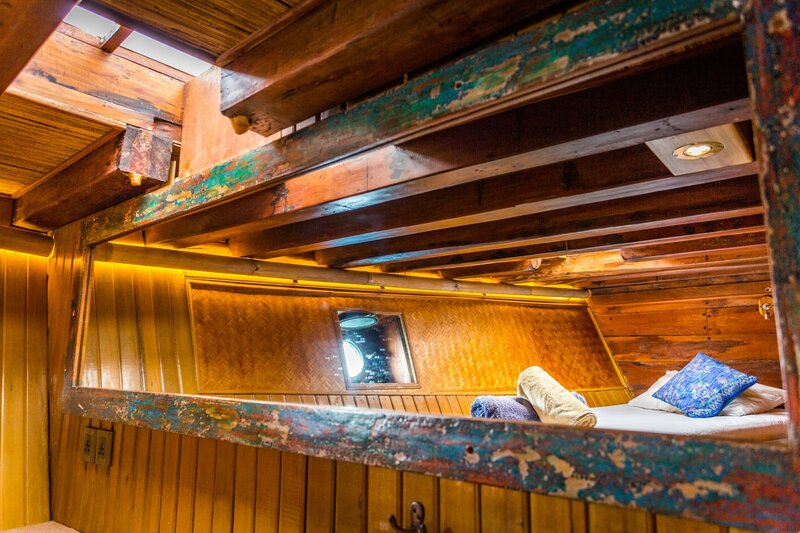 Did you ever dream of sleeping on a boat? 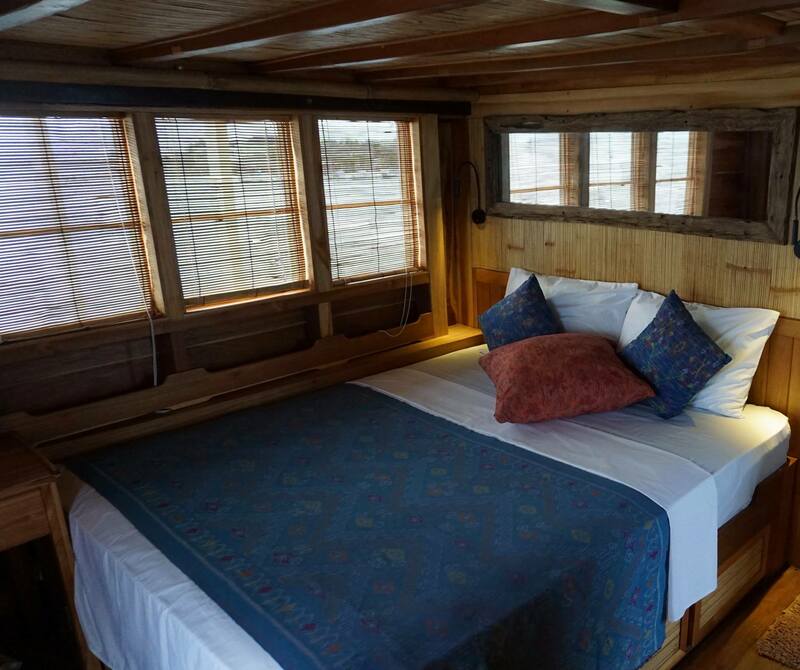 This week, you’re lucky, one of Julie’s favorite live- aboard is resting in Gili Air‘s harbour. 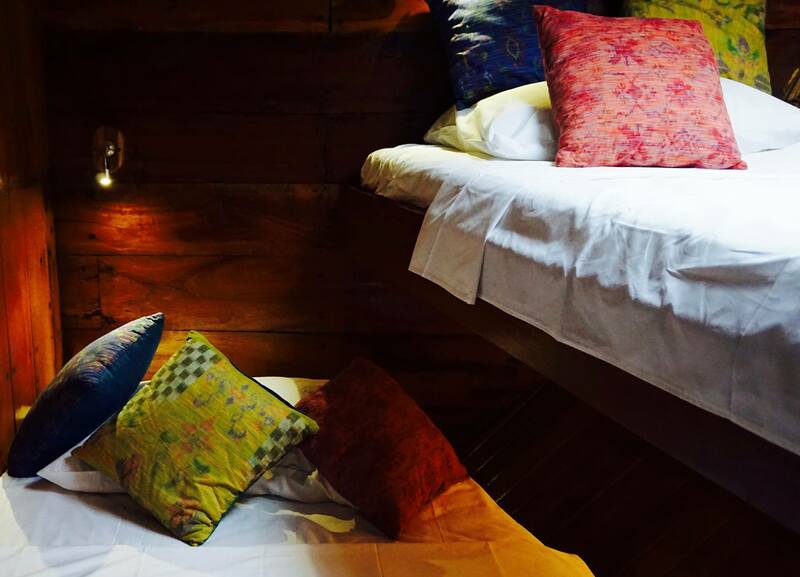 In partnership with Slow Villas, GiliTA’s team can book your cabin on board for your unforgettable stay in Gili Air. 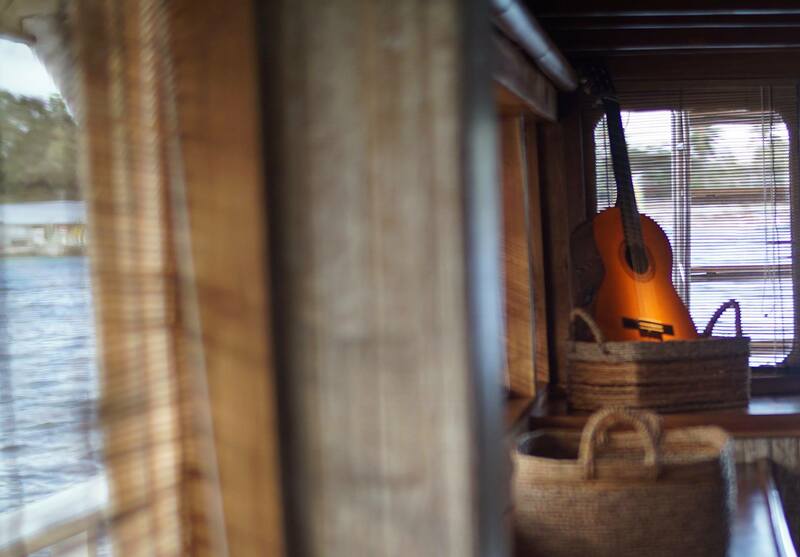 A different way to stay in Gili. Usually it sets sail for Komodo National Park or Raja Ampat’s Archipelago to take groups of scuba divers to visit Indonesia’s world class underwater world. The ship’s converted into living quarter, as Julie says, it feels a bit like a custom built floating mansion. Build by the legendary builder Pak Haji Abdullah on the shores of South Sulawesi, she has now undergone a renovation that adds a cheeky contemporary twist while staying true to her traditional Phinisi roots. 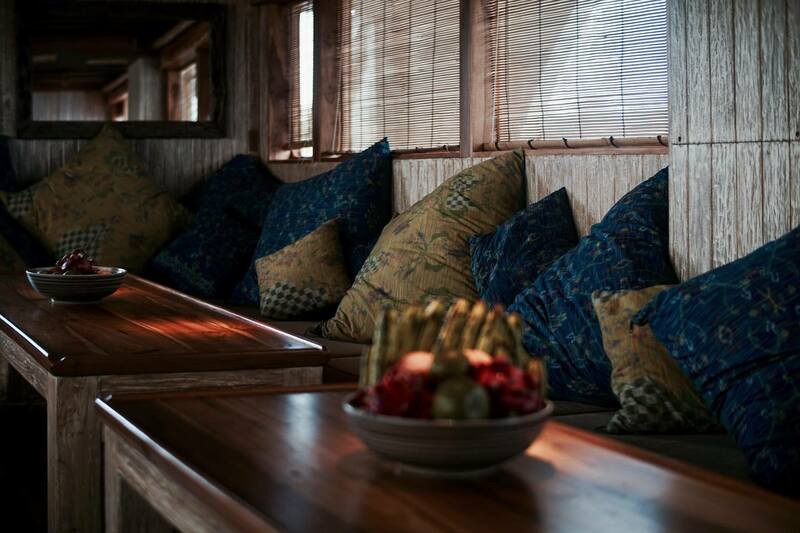 Handcrafted teak throughout with traditional fixtures, raftan ceilings and ikat fabrics. 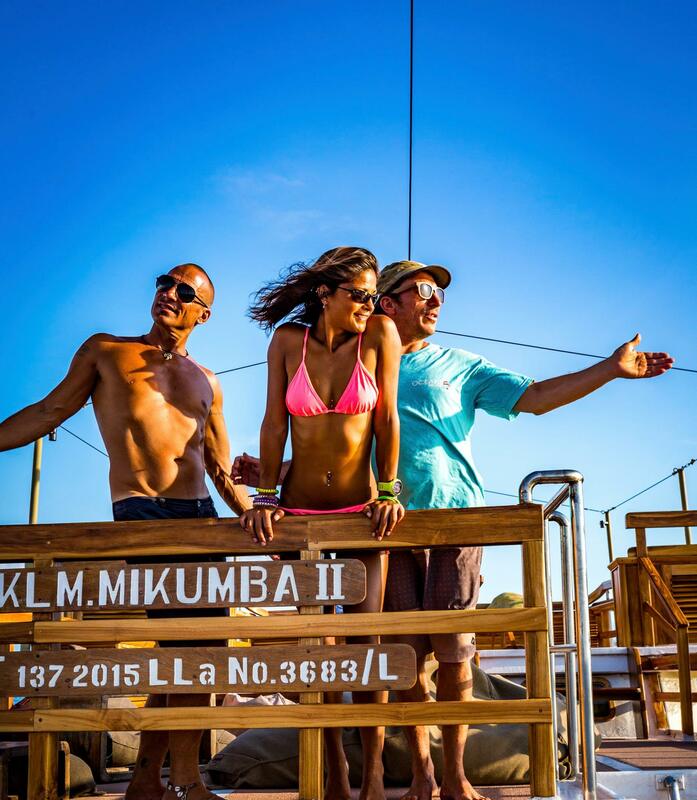 A true floating boutique hotel with simply the best views on the planet. She has two top deck en- suite master cabins with their own private balcony and a further, four double cabins below deck. she can accommodate up to 10 guests, depending on your crew requirements. The hub of life onboard is the beautiful saloon that acts as an indoor diving area, library, bar and cinema room. The decks is where the magic really happens. They have the largest and best appointed deck space of any traditional phinisi, spanning four levels. Made for pure tropical- luxe lounging, Alfresco diving and a yoga studio with the best backdrop in the business. The last minute rate in partnership with Slow Villas is 100€ instead of 200€ for the lower deck cabins with shared bathrooms and 150€ instead of 300€ for the upper deck cabins with en-suite bathroom. Breakfast is not included, the crew can drop you at Scallywags, where you can have a delicious breakfast buffet. Transfer from Bali or Lombok can be organised by us. 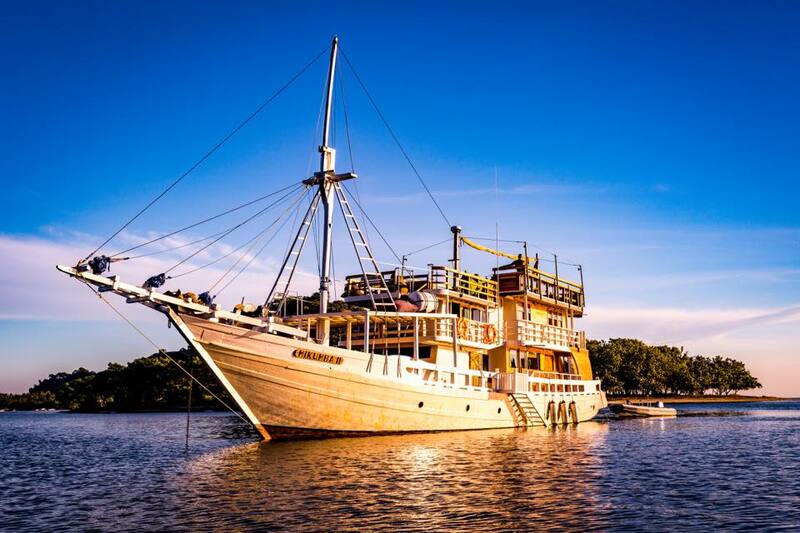 Life on- board lost paradise is an indulgence of unadulterated barefoot luxury. Guest reviews are written by our customers after their stay at Cabin On A Boat. There is nothing like sleeping on a ship. The rooms are clean and tastefully decorated. The comfort is much better then I expected for a cabin on a ship. The ship is stunning. There is something magical about waking up on the water. 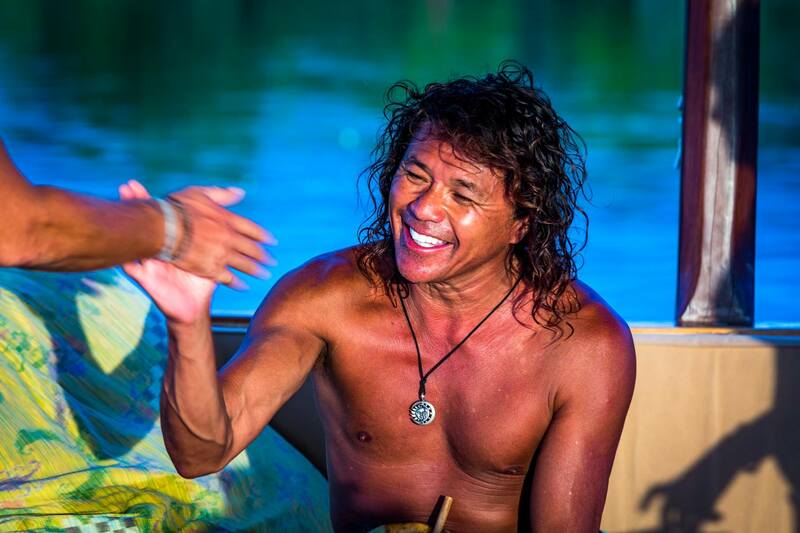 The staff is what makes this liveaboard the best. They are always smiling. The owner is funny and has the best English humour. GiliTA's team is the perfect partner to book transfers from Lombok or Balia and any activities around the Gili islands. Just Ask Julie. Its good value for money. An unforgettable experience. Take out the SUP for sunset and kayak your way to Scallywags for the best breakfast buffet on the island. If its a special occasion, we can organise an event for you on the boat.